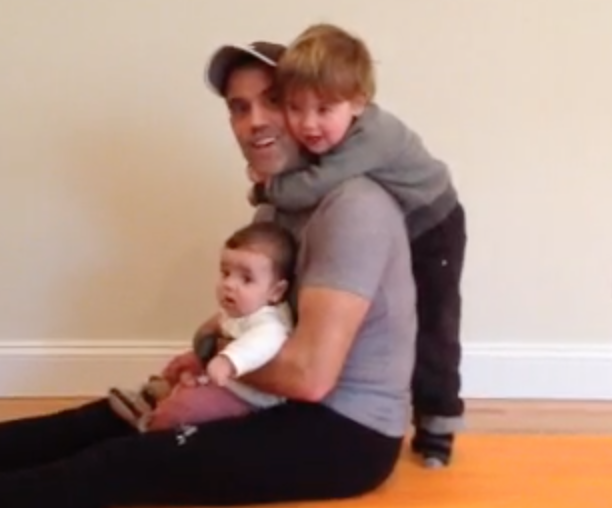 Family-friendly exercise of the month cont. : full version with toddler! We’re starting off this new year with tips to ma ke your healthy habits stick. Do you want to work out more but use your kids as an excuse as to why you can’t? Now use them as the excuse TO exercise by integrating them into your workout! You’ll get the chance to fire up your core & they’ll get the chance to go for a fun ride. *If you’re advanced, your toddler can wave his or her arms!